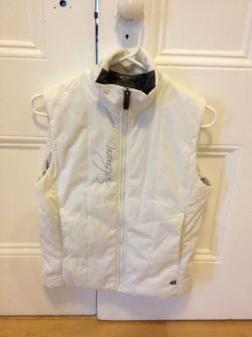 Location BU Marketplace Price $40 Type For Sale Category Clothing & Accessories Condition Good Description White synthetic down Solomon vest. Super clean, no stains, charcoal with print interior. Side zipper pockets, no hood. Size small. $40 OBO Hashtags #west #solomonwest #jacked Date Posted Sunday, Mar 17, 2019 Payment Explorite does not offer any transaction or payment services at the moment but we strongly recommend using services like PayPal.